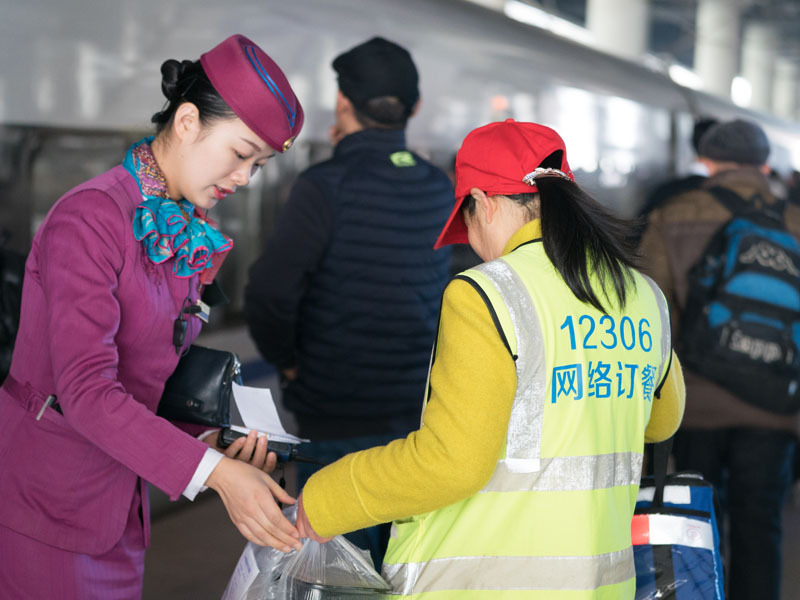 January 21, 2019: Passengers get on and off the G2372 high-speed train at Chongqing West Railway Station. 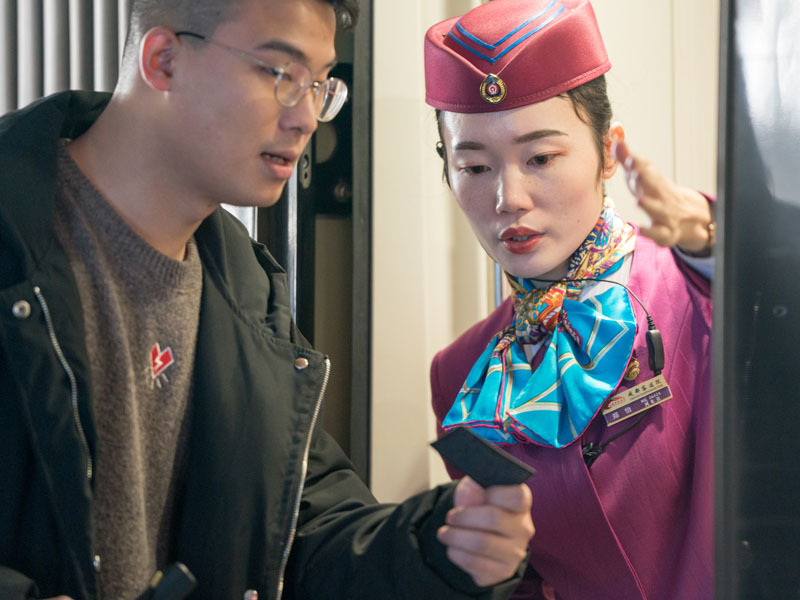 January 21 marked the first day of China’s Spring Festival travel rush in 2019. At 6:50 in the morning, bullet train G2372 set out from Xiamen, bound for Chengdu, capital of southwestern China’s Sichuan Province. 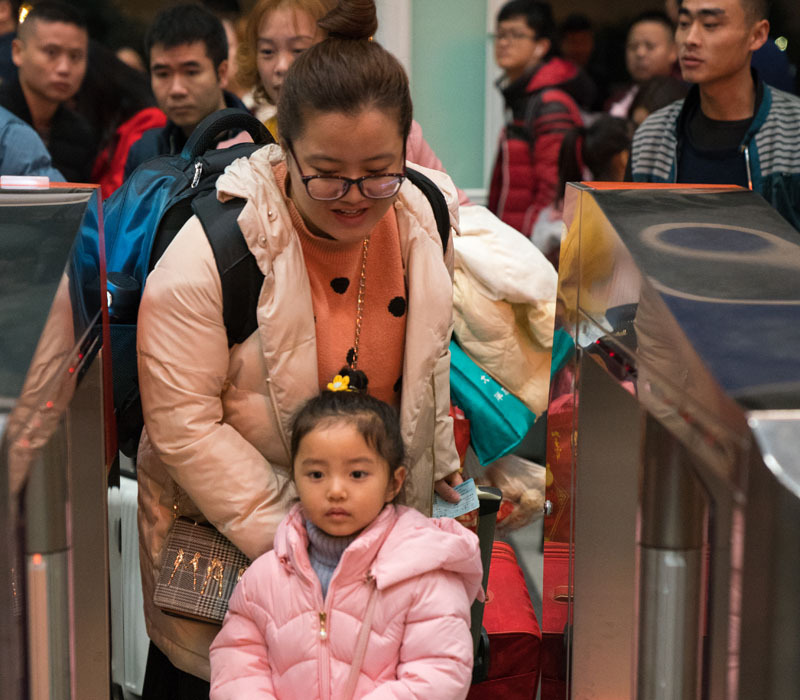 January 21, 2019: Passengers pass through the ticket wicket at Xiamen North Railway Station. 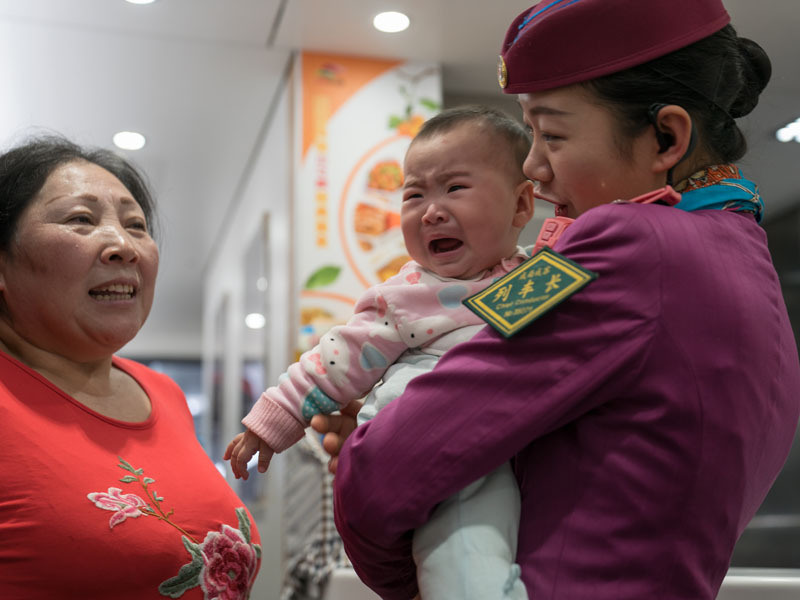 That day marked the beginning of China’s 2019 Spring Festival travel rush. It is estimated that from January 21 to March 1, a total of 413 million trips will be made by train across China. The G2372 high-speed train is among the 50 pairs of trains that have recently joined the network of China Railway Chengdu Group Co., Ltd. It began operation on January 5. Since then, Xiamen and Chengdu have been directly linked with a high-speed railway line. The high-speed railway strengthens the connection between coastal cities in southeastern China and major cities in landlocked areas. This train crosses 2,540 kilometers in 13 hours and 39 minutes. It passes through Fujian, Hunan and Guizhou provinces and Chongqing Municipality before reaching Sichuan Province, connecting the coastal areas of southeastern China to landlocked mountainous areas in the southwest. The line connects cities such as Chengdu, Chongqing, Guiyang and Xiamen, which are all popular tourist destinations. At one end of the rail line are southwestern regions with surpluses of labor, and the other end are southeastern coastal areas in urgent need of workers. The trend of Chongqing natives working in Xiamen presents an example. According to Li Jihua, general secretary of the Chongqing Chamber of Commerce in Fujian, over the past four decades since the beginning of China’s reform and opening up in the late 1970s, many Chongqingers have moved to Xiamen. Today, about 200,000 Chongqingers work and live in Xiamen. 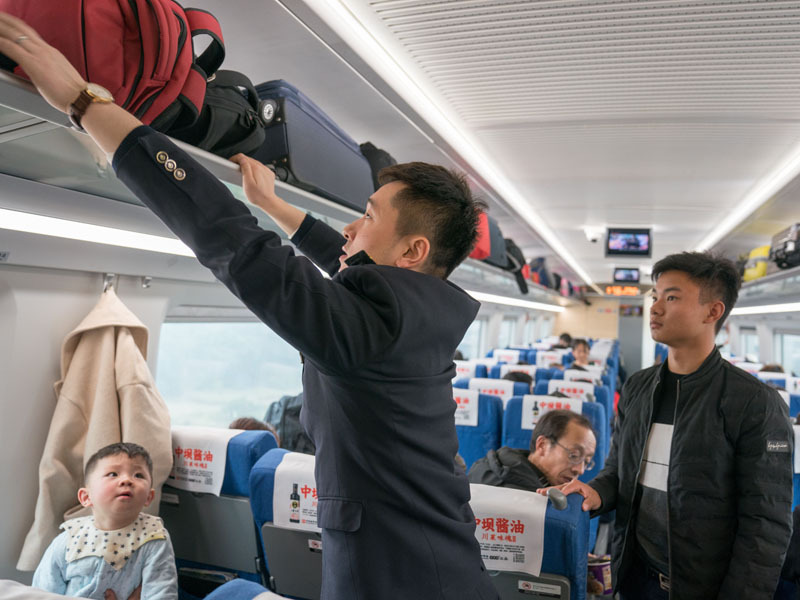 “Many passengers go home for the Spring Festival with piles of luggage and many children,” proclaimed Yuan Xiangyi, a conductor of the G2372 bullet train. A total of 20 attendants crew the G2372 train. Their duties include checking tickets, offering replacement tickets, cleaning carriages, serving food and water and safeguarding order on the train. The high-speed railway strengthens the connection between coastal cities in southeastern China and major cities in landlocked areas. This train connects the coastal areas of southeastern China to landlocked mountainous areas in the southwest. 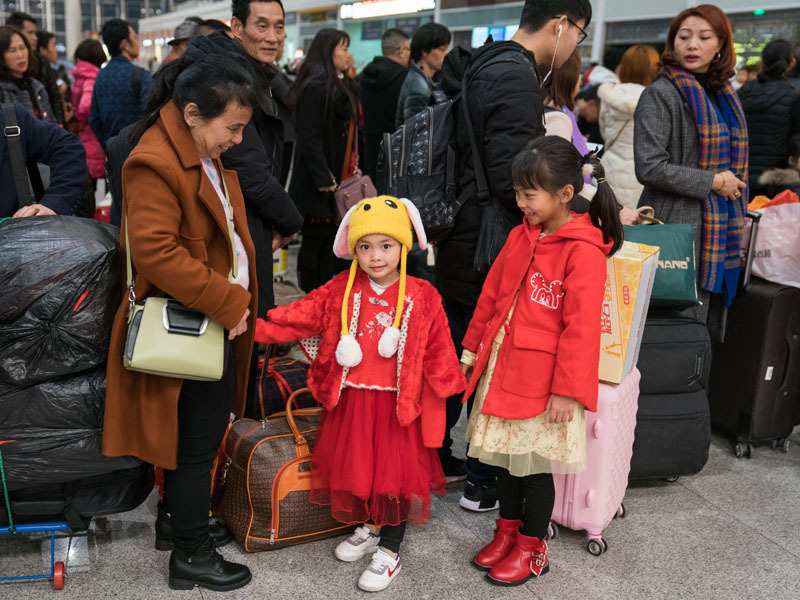 Many passengers go home for the Spring Festival with piles of luggage and many children. 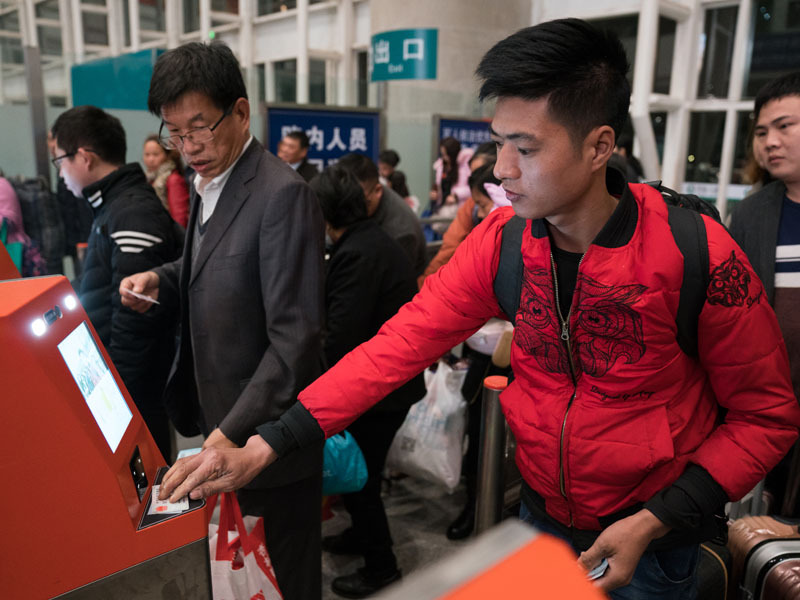 Before the Spring Festival travel rush in 2019, four more facial recognition machines join the original eight at Xiamen North Railway Station. Passengers can get their ID checked quickly through facial recognition. 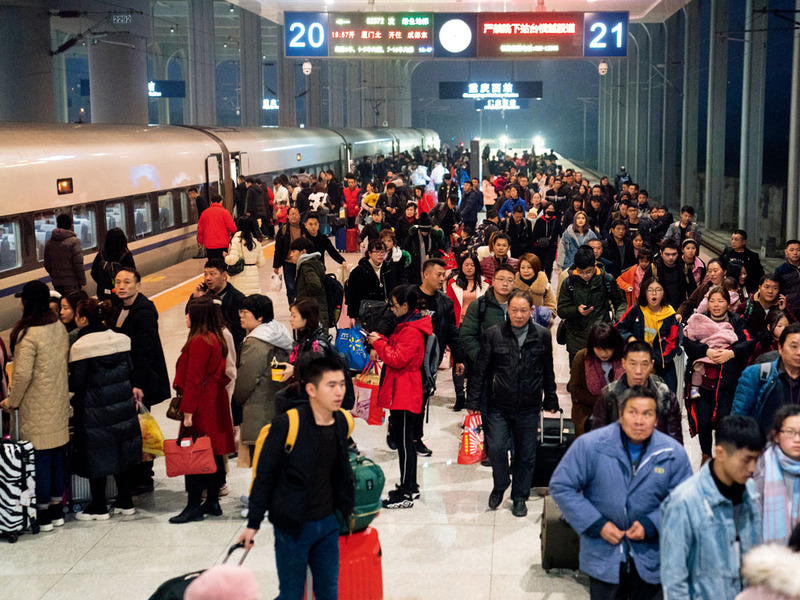 From January 21 to March 1, 2019, China’s railway network is expected to transport 413 million passengers. 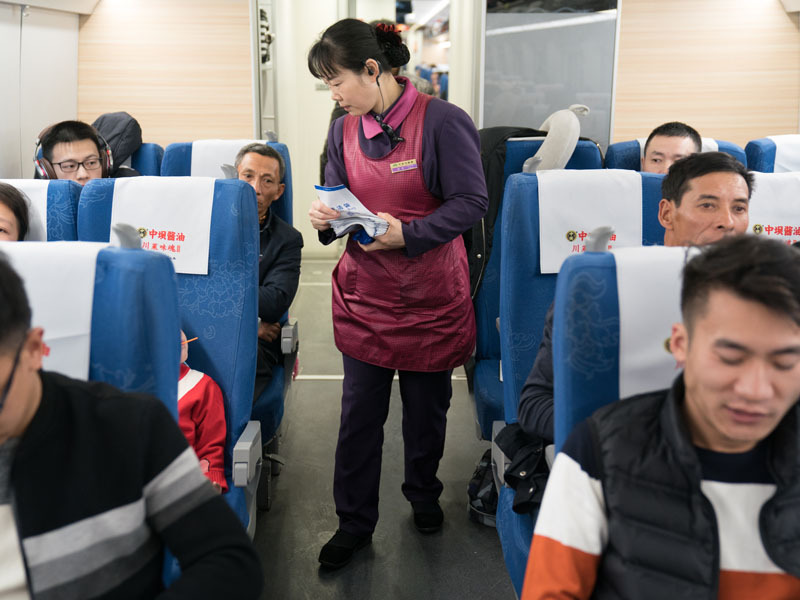 During the period, Chinese trains will perform yet another “symphony on the rails” as they whisk people home and back to work with good wishes for the new year. 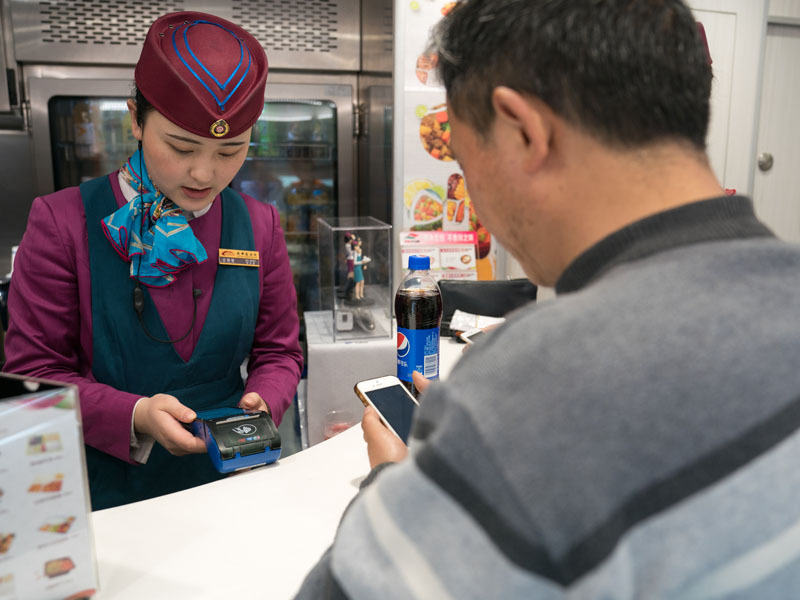 Food can be ordered on the train or online, giving passengers more options. Little passengers on the way home with their family. 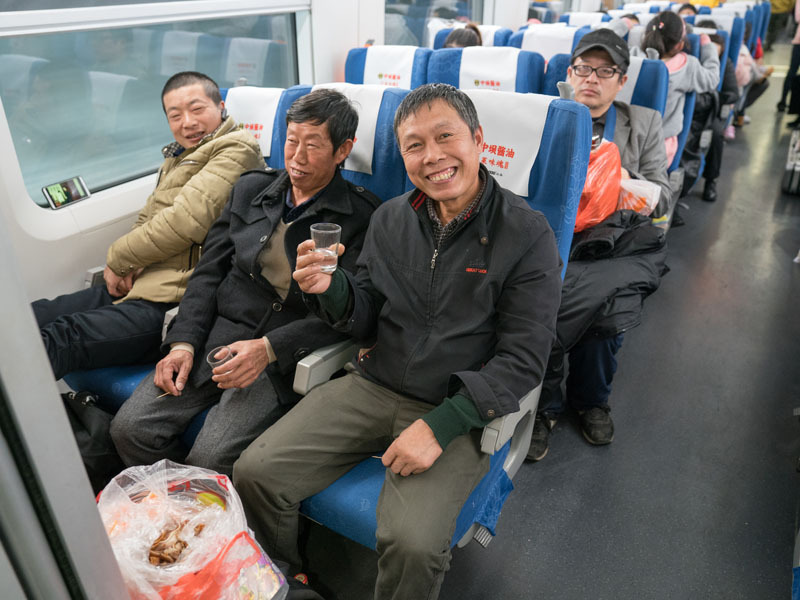 Mr. Ye (aisle seat, front), a migrant worker who is 57 years old, and his workmates head back to their hometown in Chengdu, southwestern China’s Sichuan Province for a family reunion during the Spring Festival holiday. He isn’t sure where he will work after the festival. “It depends on where I’m needed most,” Mr. Ye said.